No more blind spots. Application Performance Management finds problems before you start troubleshooting. Gain visibility into end-user response time. See how the predictive insights capability enables you to detect anomalies in your application automatically. See the impact an application performance management (APM) and DevOps approach has on the banking and financial markets. Discover how incorporating both DevOps and end-to-end APM is critical to keeping pace with agile development cycles. Learn why 76 percent of developers polled across industries consider DevOps to be important to their future. The Forrester Wave: Application Performance Management Q3 2016. SaaS, on-prem or hybrid: Which APM solution is best for your business? Download this Forrester study for a framework to evaluate the potential financial impact of IBM APM on your organization. Find out which on-cloud or on-premises solution is right for you and see we have in beta. What's new in the latest refresh? 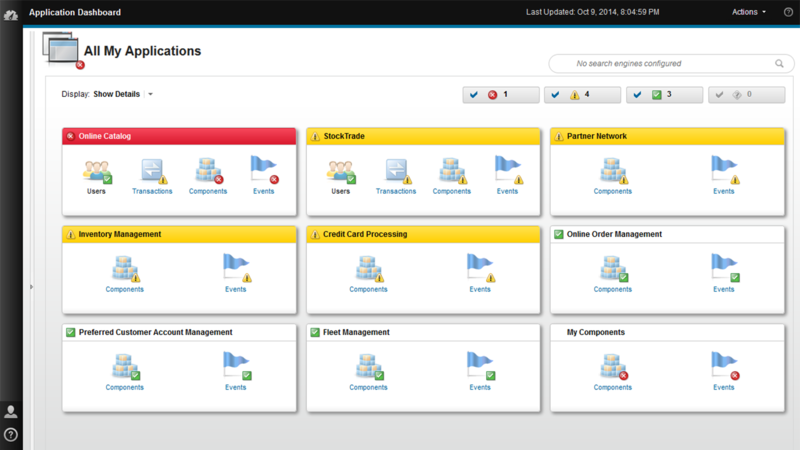 Review the latest updates to IBM Cloud Application Performance Management, Private V8.1.4. Find answers to your most frequently asked IBM APM questions. Learn how to setup the APM trial with this fun and super easy eBook. Help! There's a breach in the core! What could be causing the problem? Check out this infographic to investigate. Read this blog to find out answers to the most common APM questions.